I am working on setting up a link so you can go and check out all the great jam nights around the country, but in the meantime I will be featuring 1 jam night a week in our new Jam Night section of the e-guide. Just scroll down and it will be toward the bottom of your newsletter. Once again, thanks to all those who sent in the info on your local Blues Jams and keep them coming, I will eventually get them all in. 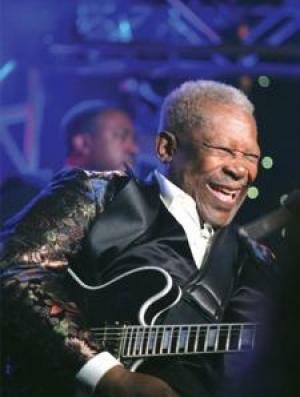 What do you get when you put together a blues legend's legacy with amazing keyboarding skills, a vocalist with chart toppers in the UK, a drummer who has played on over 300 gold records, a bassist who is known for the funky grooves in his bass lines, a guitarist that can rival the best of them, and another vocalist who can belt out a gritty sound on one tune and then change it up to a more relaxing soulful groove? 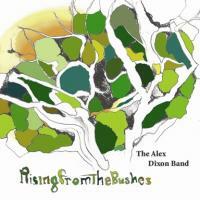 You get the new CD "Rising From The Bushes" by The Alex Dixon Band, of course! This is the most anticipated album to come out of the Dixon catalog since his grandfather's 1970 classic "I Am The Blues". Artist/pianist/writer/producer Alex Dixon, grandson of legendary poet and master bassist Willie Dixon, teamed up with some musical greats to create his newest release "Rising From The Bushes" due out April 28th! Included are drummers James Gadson (most sought after studio drummer) and Alvino Bennett (Dave Mason, Koko Taylor, L.T.D. ), bassist Gerald Johnson (Steve Miller, Crosby Stills & Nash), vocalist Marcy Levy aka Marcella Detroit (Eric Clapton, Shakespeare's Sister), guitarist/vocalist Alan Mirikitani (aka BB Chung King), and vocalist David Dills (lent his vocals on 5 of the 10 tracks)! Already receiving international airplay and exposure on the Roots Charts before its release, this CD has something for everyone. It's music that makes you feel good...put together by those who know good music! Alex Dixon is the only producer/musician/writer to come out of the Dixon family since his grandfather, Willie Dixon. He also co-wrote on his grandfather's Grammy Award winning album "Hidden Charms", produced by the one and only T-Bone Burnett. With the talent that he brought along to create his "Rising From The Bushes", Alex is sure to bring a new generation to the Blues. Look for the CD to be released on April 28th! Free your mind...this IS the Blues! When Jason Ricci & New Blood unleashed their genre bending album "Rocket Number 9" for Eclecto Groove Records in October of 2007, the band unwittingly turned the blues world on their respective ear with a visionary and sonically bombastic recording that created legions of new fans and spent a total of seven weeks on the Billboard Blues Charts hitting a peak position of #4. Ironically the band's initial intentions were not designed with the blues connoisseur in mind, but instead to forge an album that could reach out to a new audience by implementing a wildly artistic and innovative approach. Surprisingly, rather than alienating the blues community the album was embraced and accepted with open arms. 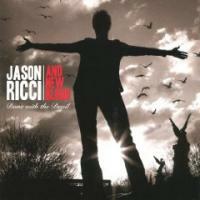 Now with the arrival of "Done With The Devil," Jason Ricci & New Blood deliver their most ambitious project to date. Recorded at the rustic Shadow Lane studio in Nashville, Tennessee, New Blood explores an album filled with even darker imagery than its predecessor. Prepare yourself for a journey unlike any other as the band throws into the fold all matter of instrumentation including chromatic, diatonic, chord and polyphonia harmonicas; tuba, bass harmonica, electric and upright bass; electric, acoustic and dobro guitars; Hammond B-3 and various percussion. Longtime fans can also revel in the surprising vocal debuts of guitarist Shawn Starski and drummer Ed Michaels. A truly collaborative effort, "Done With The Devil" represents another significant step forward musically for the band; an album that Jason Ricci mischievously exclaims "is a record that even a rhinoceros would like!" 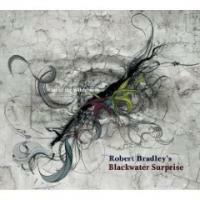 Five years after the last studio record, Robert Bradley's Blackwater Surprise delivers Out of the Wilderness for 2008. The long-awaited album is the fifth major release from the blind artist who illuminates his listeners with his lyrical and musical vision. "This record brings me back to the time when I started out wanting to be a singer-songwriter, where the music did not need the New York Philharmonic to make it real. It's just me at the piano with the musicians around me finding my groove. I wanted to do a record and just be Robert and sing straight like Jim Reeves on ‘Put Your Sweet Lips a Little Closer to the Phone.' I wanted to do a record that was innocent. That's why I say Out of the Wilderness because it is like I've just been born," explains Bradley. THE DOHENY BLUES FESTIVAL IS GOING GREEN ! NEW CUPS: the beverage cups this year will be made from full-biodegradable, compostable materials derived from corn grown in the USA. TRASH RECYCLING: Las year 9,000 pounds of material generated from the event were successfully recycled. This year color - coded recycling containers will be placed next to trash containers. MERCHANDISE: Ellie's Merchandise booth always has a good selection of products, many using organic materials...and we are purchasing bags that are 100% fully-degradeable plastic bags. The 12th annual Doheny Blues Festival is May 16-17th at the Doheny State Beach in Dana Point, California. For more information on the festival CLICK HERE. "This is the biggest one night Blues concert that I have ever produced and it's going to rock St. John", stated festival founder and producer Steve Simon. KANSAS CITY, Mo. -Organizers of Kansas City's blues and jazz festival, Rhythm & Ribs, say the event will not occur on June 19-20, as planned because the economy is making it tough to raise corporate sponsorships. Organizers say the annual festival will take a break in 2009 and will return on Father's Day weekend in 2010. Since 2005, Rhythm & Ribs has been a non-profit, community-oriented festival designed to showcase some of Kansas City's world-renowned cultural traditions - jazz, blues and BBQ - and has grown to become the city's biggest celebration of "the heart, the soul, and the sauce." Festival leaders, sponsors and followers had been working toward the fifth annual event at one of KC's great cultural centers, the Historic 18th & Vine Jazz District. In the meantime, jazz and blues lovers can take solace in a very busy, year-round performance schedule at 18th & Vine, as well as in other venues around Downtown Kansas City. "Fundraising is never easy, but this year has understandably been an uphill battle," said Peter Yelorda, chairman of the Rhythm & Ribs Jazz and Blues Festival. "Scenarios like ours are being played out across the country. It is expensive to bring in top tier talent for a music festival of this caliber, and this year it has become extremely challenging for sponsors to maintain the same level of investment. Yelorda expressed pride and appreciation in the corporate and philanthropic communities, along with loyal jazz and blues fans, for supporting Rhythm & Ribs over the last five years. He vowed the festival will return next year, according to a news release. "The commitment was still there this year, but most contributions were scaled back citing the difficult economy," he said. "We have called our loyal supporters today to tell them of the decision and to ask for their help next year. Without exception, the news has been greeted realistically and with votes of confidence and support for 2010 - June 18-19, 2010, to be precise." "Even though Rhythm & Ribs will take the year off, the jazz and blues scene in Kansas City is alive and jumpin'," said Greg Carroll, president and CEO of the American Jazz Museum. For Rhythm & Ribs fans that already purchased 2009 festival tickets in advance, refunds are available at the location where tickets were purchased - either the American Jazz Museum or Ticketmaster. The American Jazz Museum is also offering opportunities for any who purchased advance tickets to apply their $10 towards incentives at the American Jazz Museum including tickets for performances in the Blue Room, Gem Theatre and other offers. Contact the Museum at (816) 474-8463 for details. Blues, Jazz and Gospel and Pop will return to Ottawa in a big way this year as the Ottawa Blues Fest returns for another year. Organizers announced the full lineup and schedule for the event, slated to be held from July 8 to Sunday, July 19th in Downtown Ottawa. In a time when tough economic conditions are forcing many festivals to tighten their budgets, the Bluesfest is expanding and this year, organizers have announced two new stage sponsors and an expanded schedule. The Subway Stage will debut this year and feature an wide array of performers, as will the The Hard Rock Cafe Stage, which will offer a broad range of roots and gospel music performed by major international artists. The Bank of America Stage will be located in the heart of the festival site at LeBreton Flats and feature internationally renowned headliners. The Rogers Stage will be located on the south side of the Canadian War Museum, within view of the Bank of America Stage. Both stages will share a capacity of 30,000. Performances on this stage by will alternate with the acts being presented on the Bank of America Stage. The Blacksheep Stage - Offering an eclectic combination of regional, national and international artists. The Barney Danson Theatre is a state-of-the-art 231-seat facility that allows the Bluesfest programming team to feature acoustic acts, in an air conditioned soft-seat setting. The opening night at the festival will see Jeff Beck taking to the Bank of America Stage at 9:30 p.m. Other opening night performers include: Amos the Transparent, Amanda Rheaume, Sergent Garcia, Tympanic, Blue King Brown, Van der Graff Generator, Jon Creeden, and Monkey Junk, with additional acts pending. Tinariwen -- who gained fame as nomads playing music in the southern Sahara -- brings the soulful sounds of Africa to our shores. We talked with guitarist and vocalist Abdallah Ag Alhousseyni about the band, which will be playing at the Heineken TransAtlantic Music Festival Saturday. Q:What do you want the people of Miami to know about African music, specifically music from Mali and the Sahara? A: Well first of all, we'd like them to know that African music exists. Because there are a lot of people out there who don't know that. And we also want them to know that it's through music that many people can come to understand Africa, and realize that it isn't just a continent of misery and catastrophe, but one that has a lot to offer the rest of the world. . . . We'd like people to feel the wonder of our desert home, one of the most peaceful and beautiful places on Earth. Q:You've played for presidents, prime ministers, ambassadors. How important is it for you to tour and share your music around the world? 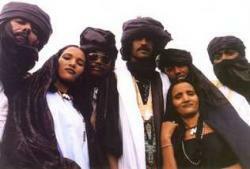 A: Tinariwen was created to transmit a message. At that time, in the late 1970s and early 1980s, the founding members of the group, like Ibrahim, Inteyeden, Hassan and Diarra were talking mainly to their own brothers and sisters in the desert. They wanted to raise awareness about the plight of the Touareg people, the political oppression, the lack of water and education, the pain and misery of exile, the homesickness. It's a message about the desert, about its beauty but also about its problems. So it's very important for us to share our music as far and wide as we can. If we just sat at home, no one would be the wiser. Q:Who are you influenced by musically? A: Everybody in the group has their own tastes and influences. But there's one element that's common to everyone and that's our own traditional Touareg music. . . . On top of that are all the other North African and African influences: Algerian rai music, Moroccan groups like Nass El Ghiwane and Lemchaheb, Mauretanian music especially Dimi Mint Abba, Egyptian singers and then of course the late, great Ali Farka Touré who was a big influence on every musician in West Africa. From the west, there are those in the band who love Jimi Hendrix, Santana, Led Zeppelin and Dire Straits. A: Our sound is traditional music interpreted in a modern way, on guitars. We call it 'assouf' -- the music of nostalgia, of homesickness, of the pain inside. It's our blues music. But people often think we were influenced by the American blues. This isn't the case. We'd never heard any American blues before we traveled to Europe for the first time in 1999. Unless you count Jimi Hendrix. Q:What are your lyrics about? A: We sing about our love for the desert, for its people, its culture, its peace, its natural wonders. But we also sing about its problems: the tribalism and infighting, the lack of education, the oppression of outsiders, the pain of living in exile, far from home and family, the loneliness of its huge spaces. Q:What do you look forward to most at the music festival in Miami? A: I don't think we've played in Miami before, so it'll be great to visit such a famous city. When: Javier Garcia and the Budos Band perform 7 p.m. Friday. Cucu Diamantes and Tinariwen play at 7 p.m. Saturday. After-show party both nights with DJ Da Lua until 2 a.m. at Boteco. Where: North Beach Bandshell, 7275 Collins Ave., Miami Beach; Boteco, 916 NE 79th St., Miami. Tickets: $20 advance, $25 at the event (free for children under age 12); Boteco parties are free. Fire evacuees taking shelter at the Myrtle Beach HoB. (AP) Hundreds of visitors and local residents found shelter at the House of Blues in Myrtle Beach after being evacuated from their homes in the face of an approaching wildfire. Fire and police officials from the city approached HoB's General Manager Jackie Tedesco about using the venue as a Red Cross shelter on Wednesday night and since then, two to three hundred evacuees have found refuge at the venue. "Local police and fire officials reached out to Jackie when she was on her way home after a show on Wednesday night." HoB's Dave Fortin said. "She immediately turned around and went back to the venue to set things up." A number of shows that had been planned for the weekend have been canceled or postponed, including Longwave w/ Blue October and George Clinton & Parliament Funkadelic. 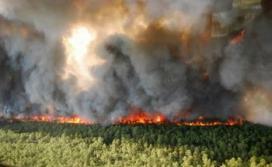 "We'll continue to make the facility available to those in need for the next few days." Fortin added. * Chris James & Patrick Rynn Myers. Also, harp man Jason Ricci, sax player Keith Crossan, key pounder David Maxwell, first-call blues drummer Jimi Bott, accordionist and harp blower Johnny Sansone, multi-instrumentalist Deanna Bogart, saxophone-player Terry Hanck, and keyboard player Bruce Katz will be supplements other artists' sets. Looking for a place that's got everything Blues? Want to learn about new music and win cool stuff? 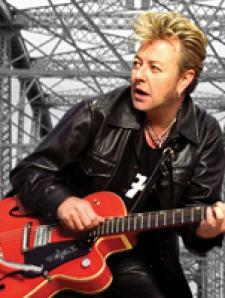 Join me at TheBluesMobile.com and become a member of the Blues Brethren. You can win cool guitars, harps, CDs, DVDs, signed merch, and other prizes. So far Brethren have won signed guitars from Buddy Guy and Joe Bonamassa and even had the chance to dance on stage with me and the Blues Brothers! Blues Brethren are the first to receive news about Blues artists, new contests, and the Blues industry, you know, basically everything happening at TheBluesMobile.com. 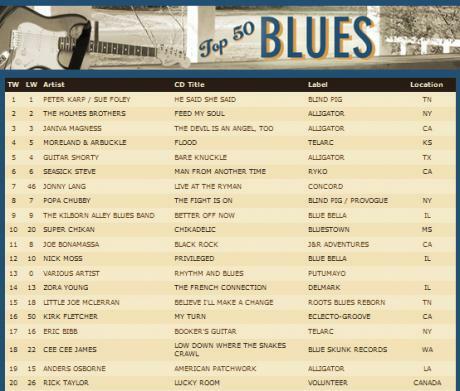 You also get exclusive access to "Elwood's Briefcase Full of Blues" which features the House of Blues Radio Hour audio stream, set lists, and sneak previews; Blues podcasts, videos and interviews; TheBluesMobile.com merchandise; as well as original Blues music, the Top 10 Blues Chart, and the Blues Breaker, my favorite new song of the week. It started with me and Jake, and now the Mission continues... with you. Stop by an Albertsons, Ralphs or CVS location in Southern California to purchaes your favorite varietal of Blackstone Wines. Participating stores will have Doheny Blues Festival displays and $10 off coupons with your purchase of any bottle of Blackstone Wine. Also at participating Southern California Good Neighbor Pharmacy locations - $10 off coupons are available, no purchaes necessary! Look for the Doheny Blues Festival Promotion Coupon at the check out register and save $10 off a single day ticket. 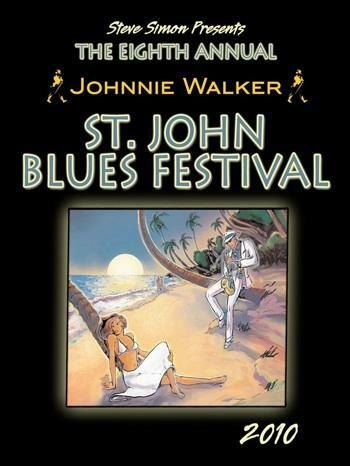 The Doheny Blues Festival is May 16-17, 2009 at the Doheny State Park in Dana Point, California. For more information on the festival CLICK HERE. Rochester International Jazz Festival (XRIJF) (www.rochesterjazz.com) presented by M&T Bank. "From the last note of RIJF 2008 until today, I've been working diligently to assemble a diverse, multi-genre spectrum of creative improvised programming for this year's event," said John Nugent, Producer and Artistic Director. "Having received well over 1,300 unsolicited submissions from artists around the world asking to come here to perform leaves no question that XRIJF is doing something right! I'm pleased that our jazz festival once again offers something for everyone to enjoy with some special artistic gems hidden to discover. Our mantra has been and always will be, ‘It's not WHO you know, it's who you DON'T know!' XRIJF will cover all the bases of music once again in 2009. 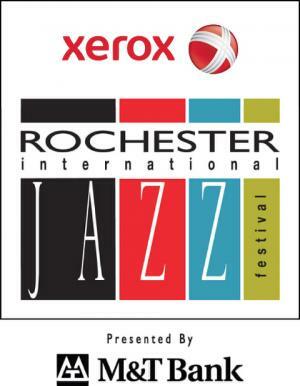 We're ecstatic about what's in store for June 12-20 here in Rochester!" The nine-day Festival, June 12-20, will deliver one of its most diverse lineups ever of creative improvised music. It will unite more than 800 familiar and yet to be discovered artists from around the world performing in 200-plus concerts. CONTEST PARTICIPATION AND INTERVIEW OPPORTUNITY. PLEASE READ THE WHOLE THING TO FIND OUT HOW YOUR EVENT WILL BENEFIT FROM FREE PUBLICITY! Blues fans enter the contest on http://www.thebluesmobile.com, the official website of Elwood Blues and the House of Blues Radio Hour! Prizes are tickets to Blues Festivals in U.S. and Canada (two tickets per winner only, no ground transportation, airfare, accommodations, food, alcohol, etc). We will have about 100 winners. You provide a set of tickets as the prize. You receive: your festival name on HOUSE OF BLUES website which receives millions hits per month, also your festival name with link on Contest section of Blues Festival Guide magazine with 20,000 unique visitors per month/1 million hits per month. 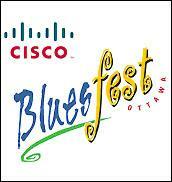 Additionally, the contest will be announced on House of Blues Radio show and in the Blues Festival E-Guide. 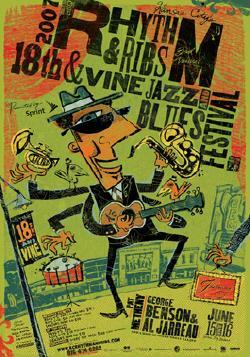 The contest will also be marketed in The Blues Festival Guide magazine. Free advertising for your event! I expect to get a lot of interview requests but HOB can only do 3-4 interviews so get your info in here by Friday pm to be considered. The 12th Annual Doheny Blues Festival! Buckwheat Zydeco... the most popular Zydeco act in the world! ... and we still have a few more surprises to announce! at this scenic, beachfront venue in Orange County. On Friday, May 8th, the Delta/Eclecto Groove All-Star Blues Revue returns to the New Daisy Theater in Memphis, Tennessee - the venue where the concert series was originally established on May 12, 2006. This annual tradition which follows what is considered to be the blues' biggest night of the year, The Blues Music Awards, has now blossomed into a bona fide blues lovers phenomenon with fans eagerly anticipating the announcement of the lineup each and every year. And despite our country's difficult economic times, Delta Groove Music is out to prove once again that the value of the U.S. dollar is still intact! DON'T MISS OUT ON THE DISCOUNT & BUY YOUR TICKETS NOW! "This jam has been running 3 years strong. Over the years we have shared stage with Ronnie Baker Brooks, Wayne Baker Brooks, members of Kinsey Report, Carl Weathersby, Eric " Guitar" Davis, Gerry Hundt ( Nick Moss Band ) and many more"
"The house band performs a 30-45 min. set, then we call up on a first come first play system. We welcome all singers, players and bands. The house band is there to back up anyone, any style. Our jam also attracts a lot of young jammers ( under 21 ) that can hang with the best!!" Back in the early 1980s, it was easy to get the blues in Wichita. The scene was thriving in blues bars all over town -- at places like the Coyote Club, the Spot Recreation and My Brother's Place. Those places are gone, as is one of the last surviving blues spots in town, The Roadhouse on North Broadway, which closed in 2007. That leaves the biannual Wichita Blues Crawls as the best ways for fans of the genre to get together and hear the music they love, said Randy Crump of the Wichita Blues Society. The Spring Blues Crawl (there's also one in the fall) is scheduled for Sunday in bars all around Old Town. It's put on by the Wichita Blues Society. About 800 people wearing $5 armbands are expected to travel between 10 Old Town bars, clubs and restaurants from 6 to 9 p.m., where they'll hear music from bands such as Clif Major & the Mean Eyed Cats, Front Porch Blues and Nightwatchmen. All the crawlers and participating musicians will then gather for a jam and after-party at America's Pub, where the popular Sharon Rush Band will perform. Those new to the blues might not know that the genre covers several styles of music, from old-style pure blues to music with more R&B or jazz feels. This year's lineup will showcase a variety of those styles. Bear Magma, playing at the Brickyard, is a group of Friends University students that offers a five-piece horn section and a killer rendition of "When the Saints Go Marching In." Loft 150 will feature longtime Wichita bluesman Clif Major. The club Suede will feature Henry Walker and the Regents, who have more of an R&B sound. And Front Porch Blues at Larkspur has a down-home sound with just a harmonica and a guitar. The event not only provides an opportunity for blues fans to reconnect, but it also gives local blues bands a venue -- or in this case, a whole bunch of venues -- for displaying their talents. "You see a lot of familiar faces," Crump said. "It's a chance for people to get together and just run around and have a great time." How much: Armbands are $5 and are good for the entire crawl. Can be purchased that night at any of the venues or at the Wichita Blues Society membership table at the Farm & Art Market Plaza. Extra: Wichita Blues Society memberships will be discounted $5 on Sunday -- to $10 for an individual and $15 for a couple. For more information, visit www.wichitablues.org. 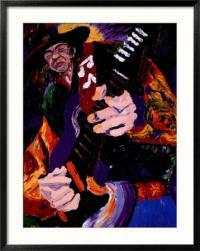 SMOKIN' JOE KUBEK AND B'NOIS KING FIRST GOT TOGETHER BACK IN 1989, WHEN KUBEK ASKED KING TO SIT IN ON A GIG IN DALLAS. THUS BEGAN A PERFECT UNION OF KING'S JAZZ-BASED GUITAR AND VOCALS, WITH KUBEK'S ROCK-INSPIRED GUITAR. THEIR NEW CD IS CALLED BLOOD BROTHERS, AND IT'S SMOKIN'! SMOKIN' JOE AND B'NOIS KING JOIN ELWOOD TO TALK ABOUT THE NEW CD AND GIVE US AN EXCLUSIVE IN-STUDIO PERFORMANCE, NEXT TIME ON THE HOUSE OF BLUES RADIO HOUR.